The Pathfinder Norfolk Broads Cruise is a Christian sailing cruise which is run for a week every year during the Easter holidays, in the area of the rivers Ant, Bure and Thurne. It has run continuously every year for nearly sixty years. 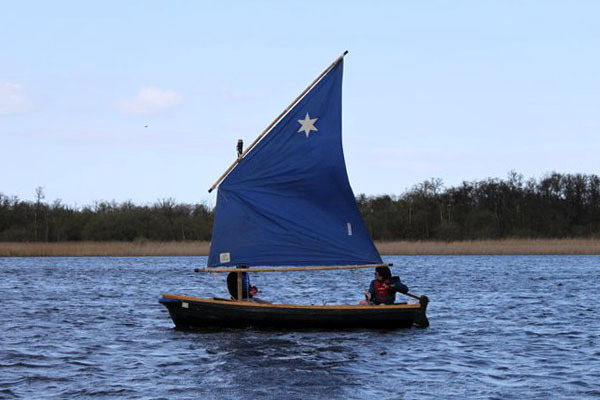 The aim is to teach children aged 13–16 (Years 8–11) about Christianity (though you don't have to be a Christian to come), while having fun sailing. 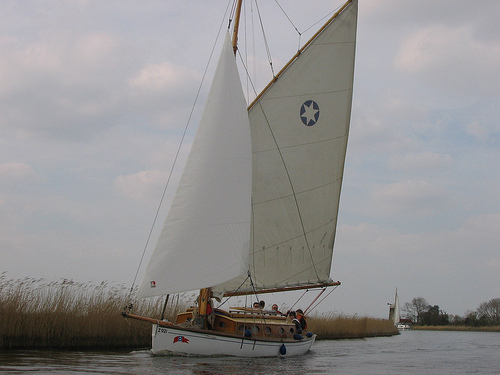 We sail and sleep aboard traditional Norfolk Broads yachts (usually 16 of them), with an experienced Skipper plus a Mate and/or a Junior Leader for every crew of 2–5 Pathfinders. There are Yacht Prayers every morning, and each evening we gather either in a large launch or in a local church or hall for 'Logs and Shanties' - a time of fun and worship, followed by Discussion Groups back aboard the yachts. The 2019 Cruise will run from from 6th to 13th April 2019 (Easter Sunday is 21st April). 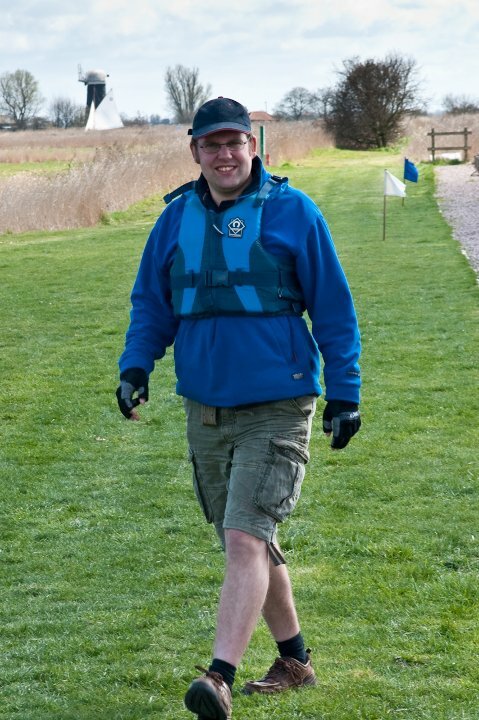 Before then, the leaders will have a First Aid Day (probably in February or March) and two Sail Training Weekends; one at Fellowship Afloat (in February) for gaining RYA sailing qualifications, and a 'Skippers & Mates Refresher' weekend on Broads yachts (in March). If you're a leader and you want to go on these, contact Paddy. The leaders are a collection of inspiring people of all ages and from all over the country. You will feel really valued as they listen to what you say. They will also encourage you to join in with the fun - ranging from water fights to carnival days! The leaders have a real range of spiritual experiences, so wherever you're at in life there will be someone to talk to who knows what you are going through. You'll be pleased to know that all of our sailing instruction is guided by qualified RYA Instructors, who are part of the team of leaders and always happy to help with any questions. Of course, safety is of great importance, and every effort is made to ensure the crew are able to have fun and get home to tell the tale - we are AALA licenced and inspected. 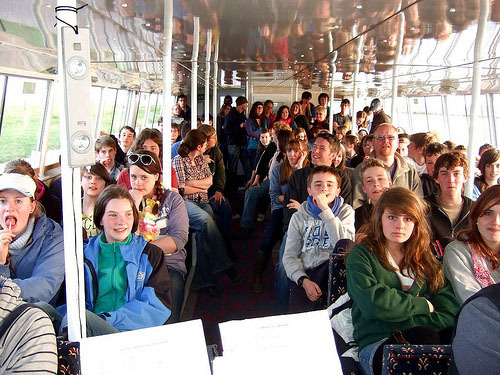 We voyage as a group across the Norfolk Broads. Mostly we sail, but sometimes need to use the engines. All the crew are encouraged to take part in rigging and sailing the boats, and helped to learn more about sailing (whether they are a complete novice or have already done a bit of sailing) and have the chance to show their knowledge and expertise by being awarded a certificate. We moor at a different location each night and our route takes us down winding rivers and under low bridges where we have to lower the masts! Sometimes we stop off in the small communities dotted throughtout the broads to have some 'shore leave'. In the evening after supper we all meet up together on a big launch or a local hall where we sing silly songs and people tell (slightly) embellished stories about their exploits that day. We then have a time of worship and teaching. After this we meet in discussion groups with people of a similar age; each group has two leaders who help everyone to learn more from the Bible about God's love and encouragement. 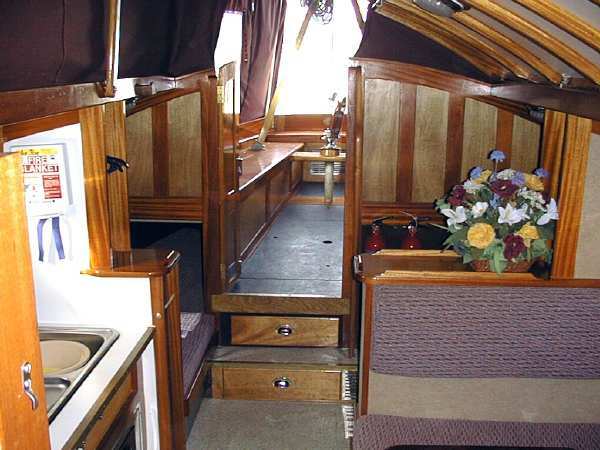 We live, cook, eat and sleep aboard yachts of different sizes (4 to 8 berth) and sailing performances. 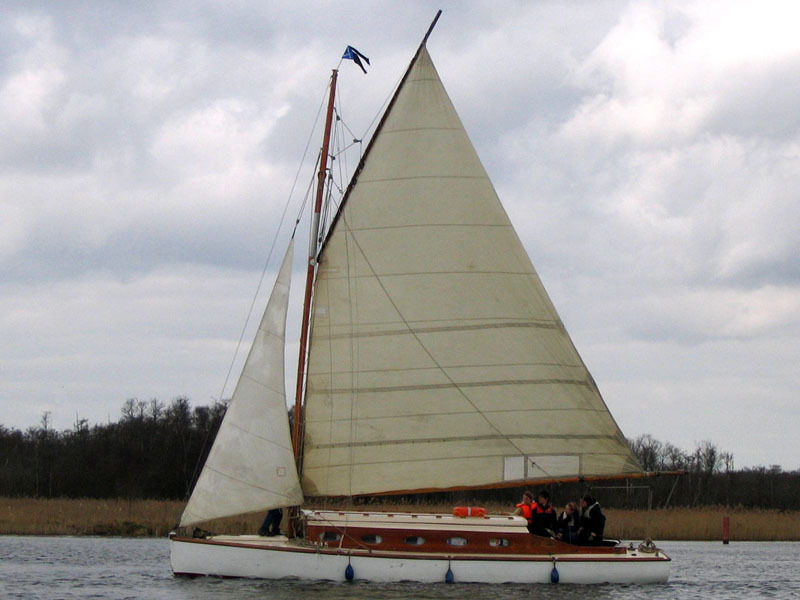 Most of the yachts are traditional Norfolk Broads boats whilst others are more modern (and quicker!). The yachts are divided into four groups of four yachts called squadrons - two boys' yachts and two girls' yachts in each squdron. You often have the chance to swap around between the yachts in your squadron on different days and socialise together, so you get to know the people in your squadron quite well. There are even inter-squadron competitions, to spice up the fun! 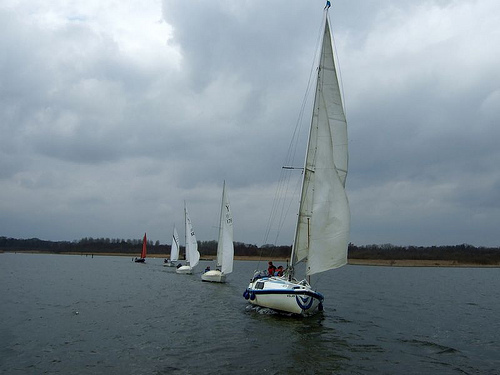 We also have dinghies which can be sailed or rowed. All the crew take part in all the activities; as well as sailing, this includes cooking, washing up and keeping the boats tidy & safe. 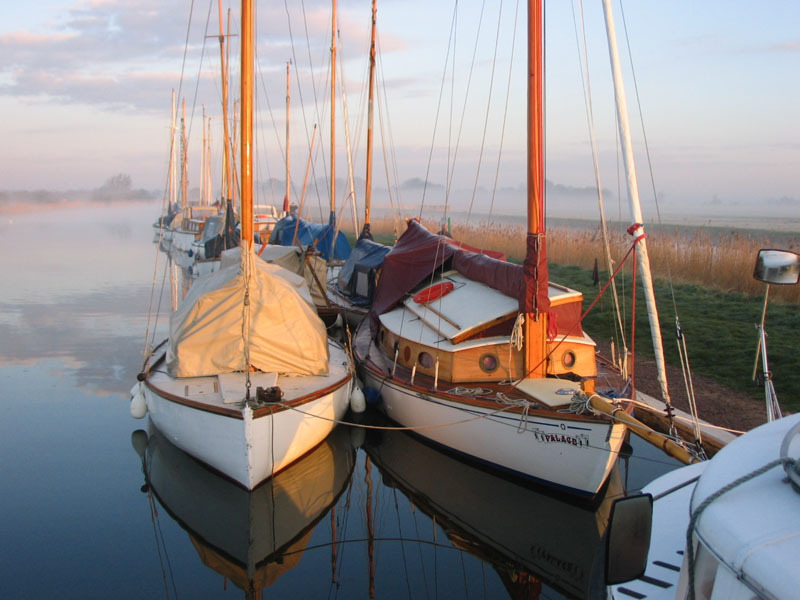 The Norfolk Broads are a unique part of the UK consisting of rivers interconnecting large lakes called 'Broads'; the wildlife and nature are beautiful. Some of the Broads are nature reserves. 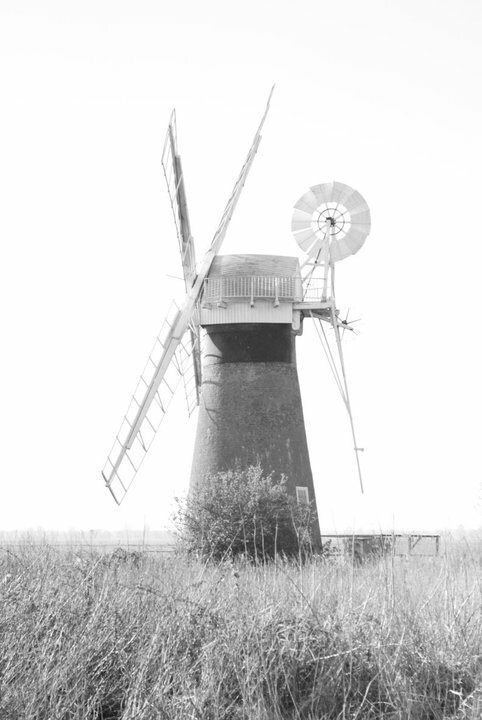 Dotted around the rivers are lots of disused windmills which add to the character of the area. For 2019, the price is £328, which includes accommodation, food and everything else. If you genuinely think you'll have a problem with this, talk to one of the people below and we'll see what we can do. To get an idea of what the Broads Cruise can be like, have a look at some of the videos on the Photos & Videos page, especially 'A Day in the Life' (the videos are lower down the page, below the photos).